Is Your Cleaning Business Proactive Or Reactive When It Comes To Safety Training? Is Now the Right Time to “HIRE”? Do You Employ Independent Contractors? Really? You've been writing since you were 6 years old. So, of course you know how to write. Wrong. Putting words on paper isn't writing. Writing is expressing thoughts and ideas to help inform, educate or persuade someone. Just like it takes practice and skill to be an active listener, it takes thought, work and good judgment to be an effective writer. The good news is that it does pay off. People who understand what you are writing will have fewer questions, have a better understanding of your point of view, and will more likely be persuaded to act successfully on your words. The first thing you need to consider is whether or not you should be writing the message. Detailed or complex messages, communication to large audiences, and the need to document a discussion, decision or action are all best handled through written communication. If you need immediate feedback, or interaction is required or preferred, then speaking with someone instead is your best route. You should also communicate directly with someone when the topic is sensitive. Unfortunately, this is the most abused type of message sent. Many of us send letters, emails, or worse yet post something on a social networking site when they want to tell someone something negative or bad. This is a cop-out. If you have bad news or constructive criticism for someone, the only effective way to do it is face to face. The amount of time and energy you put into this conversation will cost less in time and miscommunication then if you write it; plus, it's the right thing to do. If you feel that you also need to put the message or discussion in writing to accompany the discussion, then do so. Just as there are different times to write, today there are also different methods to write including e-mail, instant messaging, text messaging, as well as the traditional memos and letters. Before you use what you prefer, think about your message and who you are sending it to. If it's short and sweet and non-controversial then an e-mail may be appropriate. If it's formal then perhaps a letter is the best alternative. If the intended recipient is tech savvy then a text message may be the right method. And lastly, always remember to think through your message and re-read it, read it aloud to yourself, spell check, and use a proofreader when needed. Think about what you want to say, who you are saying it to, how it will be best understood and received, and then take the time to do it the right way. It will pay off in the end. 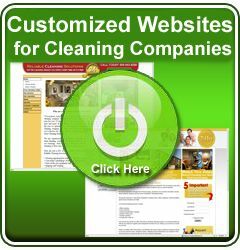 Compass Arizona janitorial on Is Your Cleaning Business Proactive Or Reactive When It Comes To Safety Training? Scott Andreassen on Is Now the Right Time to “HIRE”? andrew on Is Now the Right Time to “HIRE”?